Sandy’s Spiel Ms. Basketball: Kayla McPherson, Madison County, So. G – Kayla McPherson, Madison County, So. G – Raven Johnson, Westlake, So. G – Anaya Boyd, Lovejoy, Jr.
F – Javyn Nicholson, Collins Hill, Sr.
C – Olivia Cochran, Carver-Columbus, Jr.
G – Morgan Robinson-Nwagwu, Norcross, Sr.
F – AC Carter, Wesleyan, Jr.
F – Deasia Merrill, Villa Rica, Sr.
C – Jillian Hollingshead, Holy Innocents’, So. C – Makayla Timpson, Early County, So. G – Torrion Starks, Hart County, Sr.
G – NeKiyah Thompson, Douglass, Sr.
G – Weronika Hipp, ELCA, Jr.
G – Elizabeth Gibbs, Landmark Christian, Sr.
G – Kaylee Sticker, Dawson County, Sr.
G – Chellia Watson, Winder-Barrow, Sr.
G – Genesis Bryant, Lovejoy, Jr.
F – Zoesha Smith, Glynn Academy, Jr.
F – Corriana Evans, Spalding, Jr.
F – Amari Robinson, Douglas County, Sr.
C – Sania Feagin, Forest Park, So. Player of the Year: Raven Johnson, Westlake, So. Best Scorer: Javyn Nicholson, Collins Hill, Sr.
Best Shooter: Katherine Fourie, Collins Hill, Sr.
Best Rebounder: Javyn Nicholson, Collins Hill, Sr.
Best Passer: Bria Harmon, Collins Hill, Sr.
Best Shot Blocker: Selma Kulo, Brookwood, Jr. 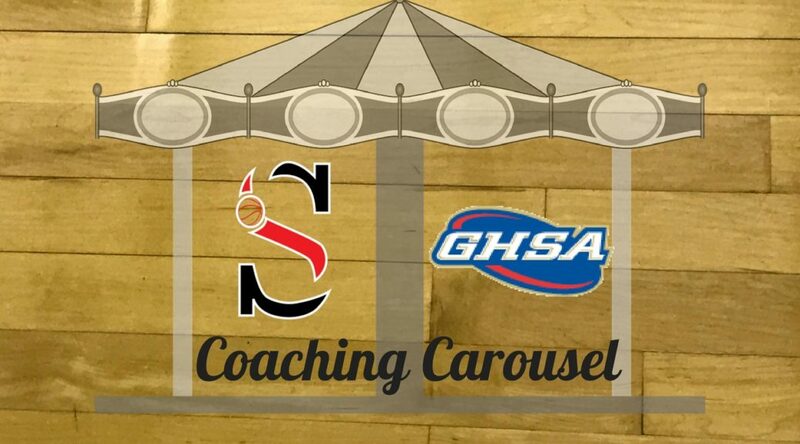 Most Underrated: Michelle Smith, Hillgrove, Sr.
G – Azonya Austin, North Cobb, Jr.
C – Sacha Washington, Parkview, So. G – Bria Harmon, Collins Hill, Sr.
G – Myra Strickland, Norcross, Sr.
F – Kiki Adams, Brookwood, Sr.
F – Jazmin Robinson, Grayson, Sr.
C – Lydia Freeman, Westlake, Jr.
G – Caroline Martin, North Forsyth, Jr.
G – Sydney Thomas, North Cobb, Jr.
G – Janiah Ellis, Colquitt County, Jr.
G – Kennedy Powell, Roswell, Sr.
G – Katherine Fourie, Collins Hill, Sr.
G – Denim DeShields, McEachern, So. G – Ashlyn Andrus, Cherokee, Jr.
G – Bridget Utberg, Woodstock, Fr. G – Jada Alston, Campbell, Sr.
F – Milana Holmes, Pebblebrook, Jr.
F – Malia Fisher, North Gwinnett, So. Player of the Year: Anaya Boyd, Lovejoy, Jr.
Best Scorer: Chellia Watson, Winder-Barrow, Sr.
Best Shooter: Sydney Rosant, Sequoyah, Sr.
Best Rebounder: Lazaria Spearman, Dacula, Fr. Best Passer: Teya Holloman, Pope, Sr.
Best Shot Blocker: Christabel Ezumah, Lanier, Jr. Most Underrated: Jodi Mullins, South Cobb, Jr.
G – Kalen Surles, Lanier, Sr.
G – Sydney Rosant, Sequoyah, Sr.
F – Ashlee Austin, Northview, Sr.
C – Lazaria Spearman, Dacula, Fr. G – Alana Denson, Forest Park, Sr.
G – Asjah Inniss, Northview, Jr.
G – Jasmine Blevins, Bradwell Institute, Sr.
G – Cheyenne Holloman, Pope, So. G – Tamia Stargell, Langston Hughes, Fr. F – Tija Blackwell, Gainesville, Sr.
F – Sade Harrell, Heritage-Conyers, So. F – Nia Allen, Valdosta, Sr.
C – Josie Johnson, Creekview, Sr.
C – Sierra Wynn, Stephenson, Jr.
C – Christabel Ezumah, Lanier, Jr. Player of the Year: Deasia Merrill, Villa Rica, Sr.
Best Scorer: Zamiya Passmore, Locust Grove, Sr.
Best Shooter: Lacy Robins, Statesboro, Jr.
Best Rebounder: Jada Claude, Whitewater, Sr.
Best Passer: Deasia Merrill, Villa Rica, Sr.
Best Shot Blocker: Emily Greek, Thomas County Central, Sr. Most Underrated: Trinity Edwards, Chamblee, Sr.
G – Zamiya Passmore, Locust Grove, Sr.
G – Lacy Robins, Statesboro, Jr.
F – Jada Claude, Whitewater, Sr.
F – Taziaha Fanning, Harris County, Sr.
G – De’Mauri Flournoy, Carrollton, So. G – Constance Thomas, Columbia, Jr.
G – Tate Walters, Buford, Jr.
C – Stacie Jones, Veterans, Jr.
C – Kennedi Manning, Arabia Mountain, Sr.
G – Courtney Smith, Whitewater, Sr.
G – Patsy Mosley, Maynard Jackson, So. 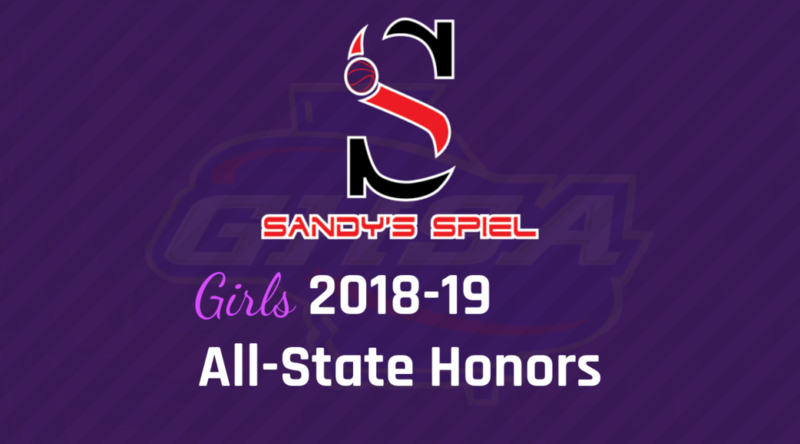 G – Trinity Edwards, Chamblee, Sr.
G – Shontrice Austin, Columbia, Sr.
G – Mikaylyn Glover, Clarke Central, Jr.
G – Alice Anne Hudson, Starr’s Mill, Jr.
G – Ty’kerria Richardson, Jones County, Sr.
F – Raven Thurman, Southwest DeKalb, Sr.
F – Unique Miller, Maynard Jackson, So. F – Ny’Azjha Carter-Ransom, Harris County, Sr.
C – Tolisha Walker, Locust Grove, Jr. Player of the Year: Kayla McPherson, Madison County, So. Best Scorer: Kayla McPherson, Madison County, So. Best Shooter: Ashley Scott, Flowery Branch, Sr.
Best Rebounder: Olivia Cochran, Carver-Columbus, Jr.
Best Passer: Ja’Kerra Wilbur, West Laurens, Jr.
Best Shot Blocker: Olivia Cochran, Carver-Columbus, Jr. Most Underrated: Jamiah Lane, Thomson, Sr.
G – Caroline Wysocki, Flowery Branch, Sr.
G – Briana Juniel, Henry County, Sr.
G – Aniaya Jester, Spalding, Sr.
G – Janya Love-Hill, Carver-Columbus, Sr.
F – Keely Brown, Luella, Jr.
F – Jordan Bailey, Madison County, Sr.
C – Paris Mullins, Henry County, Sr.
G – Kyia Craft, Druid Hills, Fr. G – Sydney Bowles, Woodward Academy, Fr. 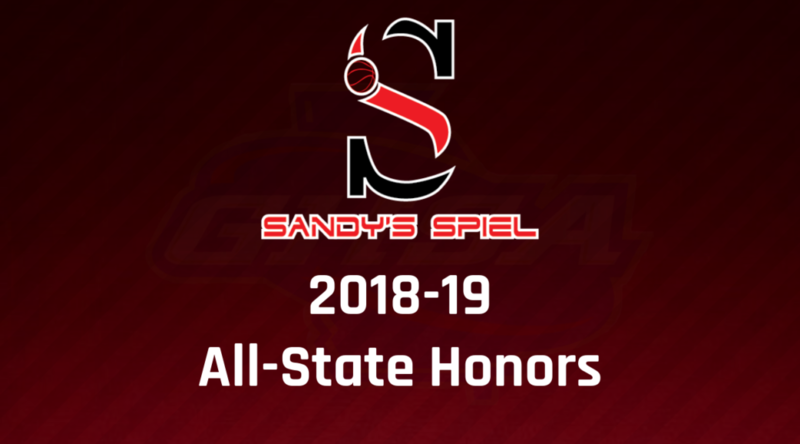 G – Asjah Harrell, Perry, Sr.
G – Calmela Mack, West Laurens, Sr.
G – Crystal Corley, Baldwin, Sr.
G – Ansley Hall, North Oconee, Jr.
F – Jada Griffin, Northwest Whitfield, Sr.
F – Emily Wiley, Heritage-Catoosa, Sr.
F – A’Maiya Jackson, Henry County, Sr.
F – Jordyn Dorsey, Cross Creek, So. C – Daija Powell, Sandy Creek, Jr. Player of the Year: Torrion Starks, Hart County, Sr.
Best Scorer: Torrion Starks, Hart County, Sr.
Best Shooter: Miranda Powell, Morgan County, Sr.
Best Rebounder: Taniya Alexander, Hart County, So. Best Passer: Torrion Starks, Hart County, Sr.
Best Shot Blocker: Da’Nasia Shaw, Peach County, Sr. Most Underrated: BreAsia Davis, Rutland, Sr.
G – J’Mya Cutter, Johnson-Savannah, Sr.
G – Da’Nasia Shaw, Peach County, Sr.
C – Taniya Alexander, Hart County, So. G – Jaida Burgess, Beach, Jr.
G – Sydney Johnson, Lovett, Sr.
G – Kaleigh Addie, GAC, Fr. G – Bailee Breedlove, Franklin County, So. F – Jasmine Thompson, Johnson-Savannah, Sr.
G – Livi Blackstock, Jefferson, So. G – Miranda Powell, Morgan County, Sr.
G – Madison Evans, Beach, Jr.
G – Lou Reid, Morgan County, Sr.
G – Kaila Rougier, Beach, So. G – Macey Gregg, Lakeview-Fort Oglethorpe, Sr.
G – Isabel Davenport, Lumpkin County, So. G – Sarah Plemons, North Murray, Sr.
F – Maliyah Parks, Sonoraville, Jr.
F – Natalia Bolden, Jefferson, Fr. C – Kayla Garrett, Tattnall County, Sr. Player of the Year: Makayla Timpson, Early County, So. Best Scorer: Olonna Rawls, Bryan County, Jr.
Best Shooter: Charlsey Kelly, Swainsboro, Sr.
Best Rebounder: Makayla Timpson, Early County, So. Best Passer: NeKiyah Thompson, Douglass, Sr.
Best Shot Blocker: Makayla Timpson, Early County, So. Most Underrated: Megan Kent, Model, Sr.
G – Olonna Rawls, Bryan County, Jr.
G – Tomiyah Alford, Lamar County, Sr.
F – Destanee Wright, Dodge County, Sr.
C – Makyala Timpson, Early County, So. G – Trinity Jones, Fitzgerald, Jr.
G – Jashanti Simmons, Putnam County, Jr.
G – Europe Brown, Dodge County, Sr.
G – Jaiden Hamilton, Laney, Sr.
F – Keyarah Berry, Rockmart, So. G – Madison Abbott, Monticello, Sr.
G – Jazmin Grayson, Woodville-Tompkins, Sr.
G – Miracle Parker, Washington County, So. G – Ashuntee Weems, Douglass, So. G – Dynesha Brown, Swainsboro, Sr.
G – Heather Vaughan, Banks County, Jr.
G – Laken Stiles, Rabun County, Jr.
G – Mercedes Coleman, Gordon Central, So. G – Hayleigh Ross, Fitzgerald, Sr.
F – Jaycie Bowen, Banks County, Sr.
F – Brooke Henricks, Rabun County, Sr. Player of the Year: Jillian Hollingshead, Holy Innocents’, So. Best Scorer: Weronika Hipp, ELCA, Jr.
Best Shooter: Nicole Azar, Wesleyan, So. Best Rebounder: AC Carter, Wesleyan, Jr.
Best Passer: Paige Lyons, Wesleyan, So. Best Shot Blocker: Jillian Hollingshead, Holy Innocents’, So. Most Underrated: Cierra Foster, Holy Innocents’, So. F – India Bellamy, ELCA, Sr.
G – Paige Lyons, Wesleyan, So. G – Mia Moore, St. Francis, So. G – Eliza Snyder, Lakeview Academy, Jr.
F – Jordan Isaacs, St. Francis, Sr.
F – Kai Carter, Paideia, Sr.
G – Nadia Reese, Stratford Academy, Jr.
G – Mary Elaine Mitchell, Stratford Academy, Jr.
G – Mahkayla Premo, Calvary Day, Fr. G – Jasmine Akins, Calvary Day, Jr.
G – Christina Walker, Paideia, Jr.
G – Caroline Dingler, Darlington, Jr.
G – Jada Ryce, Galloway, So. G – Jada Farrell, Holy Innocents’, Jr.
F – Kara Dunn, Mt. Paran, Fr. C – Aminita Ly, Greenforest, Sr.
C – Ali Rumpel, Athens Academy, So. Player of the Year: Ansley Whitley, Marion County, Sr.
Best Scorer: Gracie Brunel, Lanier County, Sr.
Best Shooter: Gracie Brunel, Lanier County, Sr.
Best Rebounder: Ansley Whitley, Marion County, Sr.
Best Passer: Mya Byrd, Turner County, Jr.
Best Shot Blocker: Takia Davis, Calhoun County, So. Most Underrated: Morgan Hill, Echols County, Sr.
G – Gracie Brunel, Lanier County, Sr.
G – Jameisha Williams, Marion County, Jr.
F – JaBrica Leslie, Greenville, So. F – Prencis Harden, ECI, So. C – Ansley Whitley, Marion County, Sr.
G – Zyhia Johnson, Clinch County, So. G – Sameria Bryant, Wheeler County, Jr.
G – Mya Byrd, Turner County, Jr.
F – Angel McRae, Clinch County, So. F – ShaBrica Leslie, Greenville, So. G – India Wells, Telfair County, Sr.
G – Kanashas Enocher, Calhoun County, Sr.
G – Anyla Bell, Mitchell County, So. G – Brandy Mackey, Telfair County, Sr.
G – Keonya Mincey, Wheeler County, Jr.
G – Destiny McClendon, Lake Oconee Academy, So. F – Yakia Temple, Turner County, So. F – Deandria Stephens, Georgia Military, So. F – Bernyla Sparks, Central-Talbotton, So. C – Ashley Whitley, Marion County, Sr.
C – Alayshia Dixon, Wilcox County, So. Sandy’s Spiel Mr. Basketball: Sharife Cooper, McEachern, Jr.
G – Deivon Smith, Grayson, Jr.
F – Tyrin Lawrence, Morgan County, Sr.
G – AJ White, Chattahoochee, So. Player of the Year: Sharife Cooper, McEachern, Jr.
Best Scorer: Sharife Cooper, McEachern, Jr.
Best Shooter: Fermandez Jones, East Coweta, Sr.
Best Rebounder: Kevin Hester, North Cobb, Sr.
Best Passer: Mitch Ganote, Lambert, Sr.
Best Shot Blocker: Jared Jones, McEachern, Sr. Most Underrated: Sam Hines, Wheeler, Jr.
G – Terrell Burden, Campbell, Sr.
G – Tre Clark, Newton, Sr.
G – Fermandez Jones, East Coweta, Sr.
G – Marquavius Johnson, Tift County, Sr.
G – Jalen Benjamin, Meadowcreek, Sr.
G – Jaxon Etter, Etowah, Sr.
G – Nahiem Allenye, Mountain View, Sr.
G – Taihland Owens, Cherokee, So. F – Kendall Lewis, Shiloh, Sr.
F – Armani Harris, Newton, Sr.
F – Brandon Stroud, East Coweta, Jr.
F – Toneari Lane, Shiloh, Jr. Player of the Year: Jayce Moore, Coffee, Sr.
Best Scorer: AJ White, Chattahoochee, So. Best Shooter: Jacksen Greco, Sequoyah, Jr.
Best Rebounder: Grant Van Beveren, Chattahoochee, Sr.
Best Passer: Messiah Thompson, North Atlanta, Sr.
Best Shot Blocker: Omarion Smith, Douglas County, So. Most Underrated: Trelan Scott, Heritage-Conyers, Sr.
G – Peyton Daniels, Tri-Cities, So. F – Tyrel Morgan, Langston Hughes, Sr.
F – Rayquan Brown, Mundy’s Mill, Sr.
F – Joyful Hawkins, Brunswick, Fr. G – PJ Carter, Langston Hughes, Jr.
G – Kamar Robertson, Cambridge, Sr.
G – Titus Hunter, Tri-Cities, Sr.
G – Cam Sheffield, Chattahoochee, Jr.
G – Sion James, Lanier, Jr.
G – Rafael Rubel, Gainesville, Jr.
G – Jermontae Hill, Tucker, Jr.
F – Matthew Cleveland, Cambridge, So. Player of the Year: Marcus Watson, Buford, Sr.
Best Scorer: Caleb Byrd, Rome, Jr.
Best Shooter: JeKobe Coleman, Fayette County, Jr.
Best Rebounder: Anthony Grant, Wayne County, Sr.
Best Passer: Josh Dupree, Fayette County, Sr.
Best Shot Blocker: Sincere Whitehead, Woodland-Stockbridge, Sr. Most Underrated: Sean Rutledge, East Paulding, Jr.
G – Caleb Byrd, Rome, Jr.
F – James Glisson III, Southwest DeKalb, Sr.
G – Anthony Hardy, Lithia Springs, Jr.
F – Eric Coleman, Buford, Sr.
G – Ricky Knight Jr., Fayette County, Sr.
G – Josh Dupree, Fayette County, Sr.
G – Tailique Williams, Harris County, Jr.
G – Rodney Smith, Chamblee, Sr.
G – Liron Thomas, Columbia, So. G – CJ Hood, Eagle’s Landing, Sr.
G – CJ Henderson, Kell, Sr.
F – Anthony Grant, Wayne County, Sr.
F – Quincy Canty, Cedar Shoals, Jr. Player of the Year: Walker Kessler, Woodward Academy, Jr.
Best Scorer: Walker Kessler, Woodward Academy, Jr.
Best Shooter: Julian Alexander, Sandy Creek, Sr.
Best Rebounder: Travon Walker, Upson-Lee, Sr.
Best Passer: Sutton Smith, Denmark, So. Best Shot Blocker: Walker Kessler, Woodward Academy, Jr. Most Underrated: Jahleel Roundtree, Burke County, Sr.
G – Sutton Smith, Denmark, So. G – Wisdom Uboh, Henry County, Sr.
G – Jhaquez Anderson, Northside-Columbus, Sr.
G – Lance Smith, Salem, Sr.
G – Cameron Gwyn, Chestatee, Sr.
G – Rodrick Jones, Dougherty, Jr.
F – BJ Wright, Perry, So. F – Michael Isler Jr., Westover, Sr.
F – Zander Hamilton, Thomson, Sr.
F – Ty Nails, Stephens County, Sr.
F – Jabari Smith, Sandy Creek, So. F – Xavier Valley, North Clayton, Jr. Player of the Year: Ja’Queze Kirby, Jeff Davis, Jr.
Best Scorer: Carl Cleveland, Banks County, Jr.
Best Shooter: Pierce Martin, Banks County, So. Best Rebounder: Ja’Queze Kirby, Jeff Davis, Jr.
Best Passer: Ja’Queze Kirby, Jeff Davis, Jr.
Best Shot Blocker: Ja’Queze Kirby, Jeff Davis, Jr. Most Underrated: Charleston Willingham, Woodville-Tompkins, Sr.
G – Ja’Quavian Florence, South Atlanta, Jr.
F – Ra’Sean Frederick, Therrell, Jr.
G – Nykeem Farrow, Bleckley County, Sr.
F – John Whitehead, Glenn Hills, Jr.
G – Demetrius Coleman, Callaway, So. G – Jaylin Sellers, Spencer, So. G – Kenon Dixon, Coosa, Sr.
G – Keandre Graham, Early County, Sr.
G – Jamarious Pledger, Douglass, Jr.
G – Jamarius Dixon, Washington County, Sr.
F – Emmanuel Jones, Glenn Hills, Jr.
F – Jyheem Rollins, Butler, Sr.
F – Bernard Pelote, Woodville-Tompkins, Jr. Player of the Year: Dwon Odom, St. Francis, Jr.
Best Scorer: Micah McAllister, Landmark Christian, Sr.
Best Shooter: Devin Butts, Stratford Academy, Sr.
Best Rebounder: Felix Uadiale, ELCA, Sr.
Best Passer: Dwon Odom, St. Francis, Jr.
Best Shot Blocker: Jordan Meka, Mt. Bethel, Jr. Most Underrated: Jusaun Holt, St. Francis, So. G – Micah McAllister, Landmark Christian, Sr.
G – Chance Moore, Holy Innocents’, So. G – Mekhi Cameron, ELCA, Sr.
F – Chandler Baker, Walker, Jr.
G – Blake McIntyre, Lakeview Academy, Sr.
G – Kelvin Jones III, ELCA, Sr.
G – Jalen Fulwood, Wesleyan, So. G – Zy Wright, Aquinas, Jr.
G – Shad Dabney, Riverside Military, So. G – Brelan Holston, George Walton Academy, Sr.
F – AJ Hopkins, Whitefield Academy, Jr.
F – Brady Burnett, Trinity Christian, Jr.
F – Burke Chebuhar, Walker, Jr. Player of the Year: Jalen Lamar, Wilkinson County, Sr.
Best Scorer: Keundre Campbell, Webster County, Jr.
Best Shooter: Jalen Lamar, Wilkinson County, Sr.
Best Rebounder: Zeff Felton, Dooly County, Sr.
Best Passer: Devonta Brown, Portal, Sr.
Best Shot Blocker: Marquis Martin, Seminole County, Sr. Most Underrated: Kolby Moss, Towns County, So. G – Kamron Jordan, Treutlen, Jr.
G – Tykevious Curry, Calhoun County, So. F – Tyquan Baker, Lanier County, Sr.
G – Carlos Dixon, Manchester, Sr.
G – Lakeviyon Walker, Macon County, Jr.
G – Chris Parker, Bowdon, Sr.
G – Bryan Smith, Calhoun County, Sr.
F – Ke’Monterius Byrd, Pelham, Sr.
F – Desmond Tisdol, Wilcox County, Jr.
F – Javon Stanley, Irwin County, Sr.
F – Makevion Bonner, Macon County, Sr.
F – Reginald Reynolds, Hancock Central, Sr. 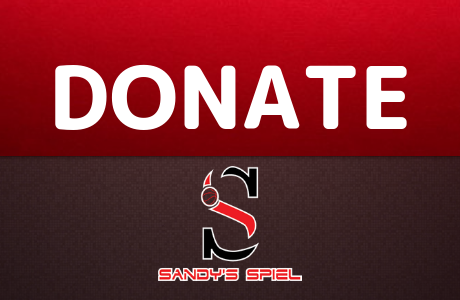 If there are any corrections or updates, please reach me @KyleSandy355 on twitter or kylesandy355@gmail.com. With many jobs in the state opening every year, there is always a chance for errors, incorrect reports or last second changes. As a community, lets try to collect as much accurate information as possible. Thank you for all your help. Fitzgerald – Hamilcar Kelly – Upson-Lee asst. Northside-Columbus – Greg Johnson – Central, AL asst. Taylor County – Christopher Jones – Former Upson-Lee asst. Winder-Barrow – Travis McDaniel – Discovery asst. Hebron Christian – Brandon Johnson – GAC asst. Walnut Grove – Will Witherspoon – Grayson asst. River Ridge – Aaron Darling – Cambridge asst. Dutchtown – Jordan Griffin – Columbus State grad asst. Habersham Central – Cody Anderson – Longwood University asst. Oglethorpe County – Chris Shackelford – Former Monroe Area asst. Northside-Columbus – Kiersten Reid – Former LaGrange College asst. Brookwood – Courtney Strauthers – Tennessee Tech asst. Alpharetta – Rickey Jordan – Boys asst. Tattnall Square Academy – Casey Jones – Former First Presbyterian Day boys asst. Perry – Sherry Richards – Evans asst.